Infected Town - Another chilling new horror survival adventure, featuring the living dead. You are a survivor of the Zombie Outbreak, it has been two weeks since the virus was released upon the world. To survive, you will need all of your wits. A gun, ammunition, and a vehicle wouldn't hurt either. 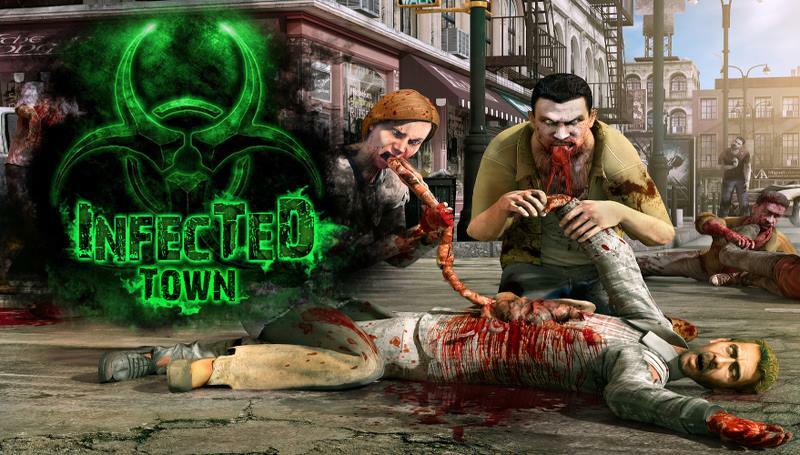 It's time to explore Infected Town, are you ready? - Inspired by classic point and click adventure games, with a twist of horror! - Improved graphics, incredibly detailed scenes and objects. - Collect money to buy gear that will allow you to survive the zombie apocalypse! - Lots of items to collect, combine and solve puzzles with! - New blood and gore effects, be horrified! - Brand new objective list to streamline and aid you in your adventure. - Interact with NPC's, you can't do it all on your own! - Many puzzles to solve and challenges to complete, use your wits! - Logical and realistic zombie outbreak scenarios. - An incredible adventure full of thrills, ammunition and the undead. Infected Town: install APK and play the game.